We’d love your help. Let us know what’s wrong with this preview of Tennyson's Poetry by Alfred Tennyson. 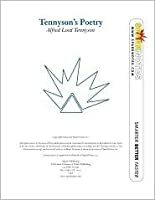 This volume offers one of the most comprehensive surveys of Tennyson's poetry available for the serious student. It includes selections from the 1830, 1832, and 1842 volumes, together with songs from The Princess and In Memoriam; complete poems from the middle period, including Maud, Enoch Arden, and nine Idylls of the King, including the Dedication; and a generous offering from the late period, 1872-92. The authoritative texts are based on the Cambridge Tennyson; additional selections have been taken from Sir Charles Tennyson's editions of Tennyson's Unpublished Early Poems (1931) and The Devil and the Lady (1930), as well as the Eversley edition, with notes by the poet's son. The texts of the poems are copiously annotated and the lines of poetry conveniently numbered for easy reference. A special section, Juvenilia and Early Responses, offers easy access to work by the young Tennyson, not readily available elsewhere, together with responses from his contemporaries. Criticism includes significant statements on Tennyson as well as interpretations of the major poems. A special feature is Georg Roppen's essay on Tennyson and the theory of evolution. Other critical voices are those of A. C. Bradley, Harold Nicolson, Douglas Bush, Arthur J. Carr, T. S. Eliot, Paull F. Baum, John Killham, F. E. L. Priestley, Francis Golffing, and Robert W. Hill, Jr.
To ask other readers questions about Tennyson's Poetry, please sign up. Was the Choric Song written after the Lotos-Eaters? I know that they usually come as a pair, but I seem to recall that the song came later. I can't find the answer anywhere on the net though, so any clarification (even without dates) would be helpful. Tennyson,most representative poet of victorian age expresses the middle class through his poetry. Along with discipline & form, a sense of romantic values & lyricism are the special features of tennyson's poetry. Its beautiful!!!! What Tennyson lacks in concise language he makes up for in the beauty of these lyrical verses. The subject matters that this author chooses are all things that if I were to write poetry I would also choose. Gallantry and Chivarly of Knights and Princesses. King Arthur and his court. References to Greek Mythology and a constant fascination with death. School text that I rather enjoyed..
poems, songs and great writing.Alfred Tennyson is a classic writer I think all should read. As an avid reader of narrative and dramatic poetry, it’s no surprise that Tennyson is one of my favorite authors. He’s written many memorable poems such as Ulysses, Tithonus, The Holy Grail, St. Simeon Stylites, The Lotos Eaters and Morte d’Arthur. (Parts of In Memoriam are also outstanding.) On the reputation of these works alone, he stands among the greatest English poets. The Norton Critical Edition is an excellent collection of Tennyson’s poems, with helpful footnotes throughout. It does a good job of selecting his best works, and culling the dross. I recommend the poems mentioned above. His epic, Idylls of the King, is an interesting failure. 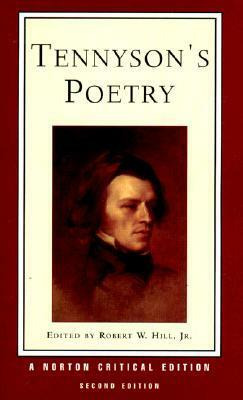 Love or hate poetry, I recommend Tennyson. This book is an excellent starting point. I know people might want to throw rocks at me for asking, but am I alone in thinking Tennyson's poetry is mostly just an exercise in belletrism with little else to offer? I'm fond of most other major Victorian poets (especially Browning and Rosetti), but Tennyson's work is a real thorn in my side. It's kind of like when I wash my white laundry. All the bright shiny stuff is made of up other Victorian poets. But Tennyson is the gross, almost-brown towel that I cleaned up puke and cat pee with. It is hard for a soldier to not love The Charge of the Light Brigade. I love The Eagle, simple and elegant. The Kracken is great as well. I tend to fall with the critics who aren't fans of the Idylls of the King, but some portions are compelling. Currently working through "In Memoriam A.H.H." which is as great a poem as everyone in the world, from T.S. Eliot onwards, thinks. a classic and an impressing statue in Lincoln, UK. I like Tennyson, but probably because I really like the Victorian period, and the old British traditions it embodies. Still, poems like Crossing the Bar are memorable and worth reading. "She took the dappled partridge flecked with blood,"
I highly recommend Odysseus, The Lady of Shalott, and Crossing the Bar. What can one say, It's Tennyson. Tennyson, like his poetry, went on forever. I am pretty fond of Tithonus though. Easily my favorite Victorian poet. Christina Rossetti follows somewhere behind. This volume includes "Idylls of the King," "In Memoriam," "The Lady of Shallot," most others. One of my top dozen pre-WWII poets in the English language, alongside Shakespeare, Dryden, Wordsworth, Keats, Emerson, Wadsworth Longfellow, Whitman, Dickinson, Christina Rossetti, Yeats, and Wallace Stevens. He is a great poet. I always find the classics irritating they remind me of high school. Tennyson poems are great for poetry lovers and poets alike. Wrote "Mariana" at 20. Wrote "Rizpah" at 70. Stayed sick. Alfred Tennyson, invariably known as Alfred Lord Tennyson on all his books, was born in Somersby, Lincolnshire, the fourth of the twelve children of George Tennyson, clergyman, and his wife, Elizabeth. In 1816 Tennyson was sent to Louth Grammar School, which he disliked so intensely that from 1820 he was educated at home until at the age of 18 he joined his two brothers at Trinity College, Cambrid Alfred Tennyson, invariably known as Alfred Lord Tennyson on all his books, was born in Somersby, Lincolnshire, the fourth of the twelve children of George Tennyson, clergyman, and his wife, Elizabeth. In 1816 Tennyson was sent to Louth Grammar School, which he disliked so intensely that from 1820 he was educated at home until at the age of 18 he joined his two brothers at Trinity College, Cambridge and with his brother Charles published his first book, Poems by Two Brothers the same year.